At this point, a battle begins between the two undisputed giants in these categories: WordPress vs. Wix. WordPress is a CMS, while Wix is a website builder. Both allow you to host and design your own website, but you need to understand the differences between the two in order to make a choice. Throughout this article, you will read multiple arguments for choosing between WordPress vs. Wix and you can decide for yourself who the winner is. By reading on, you will learn how these platforms differ in terms of features, ease of use, flexibility, and more. Each comparison is separated into categories. The war between WordPress vs. Wix starts with the differences in terms of basic features. Wix is a website building service that merely requires signing up before using the services they offer, and no technical knowledge is needed to get up and running. It is a ready-made and customizable website building platform which helps you host and design your website the way you like it using a dead simple visual interface. Wix also supports migrating a website from the platform to another web host, which is very convenient in case your site grows rapidly and you need to upgrade your hosting plan. 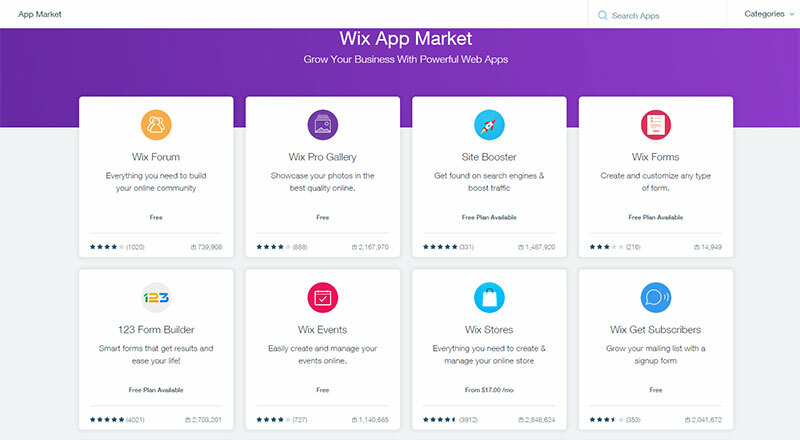 Wix comes with a full collection of free and paid add-ons that can be downloaded from the App Market. The add-ons are trusted software building blocks that allow you to quickly add functionality like holiday badges, calendars, live chat rooms, and more. Most people who want to build a website for the first time look forward to keeping everything as simple as possible and Wix has all the essential features that make the website building process easier. With WordPress, on the other hand, users must carefully select the plugins they want to use from a list that contains hundreds of results, some of which may be outdated, cause code conflicts, or otherwise perform unpredictably. Resolving unexpected plugin issues can be both a technical and time-consuming process, so you can ask yourself – is Wix better than WordPress for absolute beginners? In some cases, yes. In other cases, the numerous options that WordPress provides might be a benefit, even to certified technophobes. WordPress is a CMS that is less beginner-friendly in terms of features than Wix, but on the flip side of the coin, it offers the needed level of customization for professionals who want more from their websites. The tradeoff comes at a cost of only your time and dedication to learning the ins-and-outs of this powerful platform. Using WordPress is not as difficult as people may believe, but all the technical configuration work must be done by the user, which is inconvenient for some. That said, the WordPress ecosystem offers much more choice regarding basic features that you can use to extend your site – it has over 50,000 plugins and 10,000 themes. 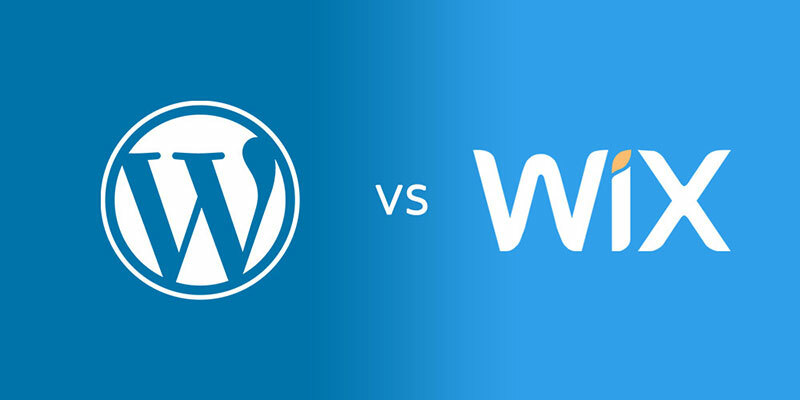 In order to decide whether you should use WordPress or Wix, you need to determine how comfortable you are with technology, and user-friendliness is the next criterion you should consider in the Wix vs. WordPress debate. Wix is a website builder that makes it easy for everyone to edit a website and publish it, without requiring specific knowledge in this field. It is very intuitive to use, as the editor is mostly based on drag & drop editing and simply clicking around to change settings. The website you’re working on will permanently stay within view, which means you can see the effect of the changes you are making in real time. WordPress, though, doesn’t adopt the visual approach. Possessing some technical skills and patience will definitely help a user to find their way around WordPress in the beginning stages. The lucky part is that the Internet is full of WordPress tutorials because the community is large, and anyone can become skilled in it. WordPress is working on becoming more user-friendly at the moment by switching to a building block editor, but users can’t see the changes they make in real time and they will be required to go from the editor to their published website a few times before getting it right. As such, Wix scores major points when it comes to how easy to use the editor is, but the WordPress vs. Wix saga continues. 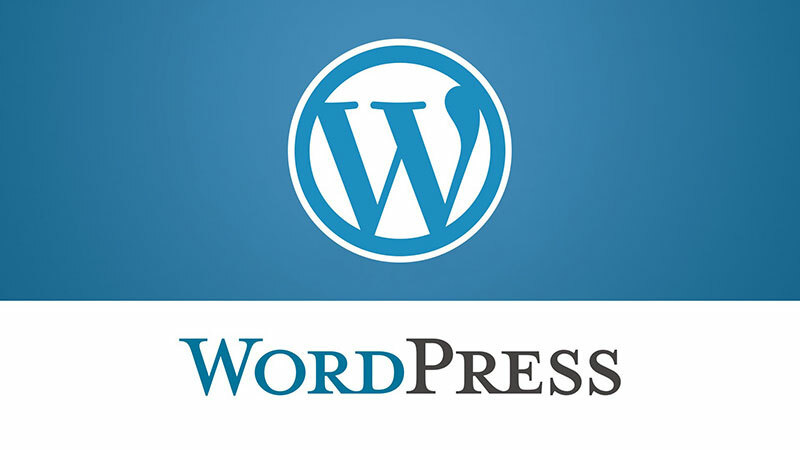 WordPress is open-source, meaning that anyone can add their own modifications to the website software and design, which can be considered both a benefit and a downside. The official themes of WordPress are simply forgotten when people can find thousands of themes uploaded by others. 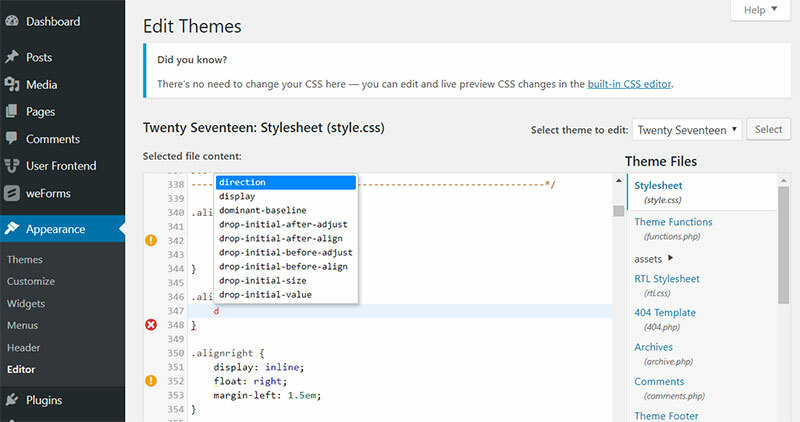 Third-party themes are also popular among users, one of the most popular sources being ThemeForest. When perceiving it as an advantage, your website can be unique, as the level of customization goes through the roof. As a downside, you should know that not all themes and plugins work perfectly. They might be faulty and cause all sorts of errors that definitely require technical knowledge to solve. Conversely, Wix is not an open-source platform. 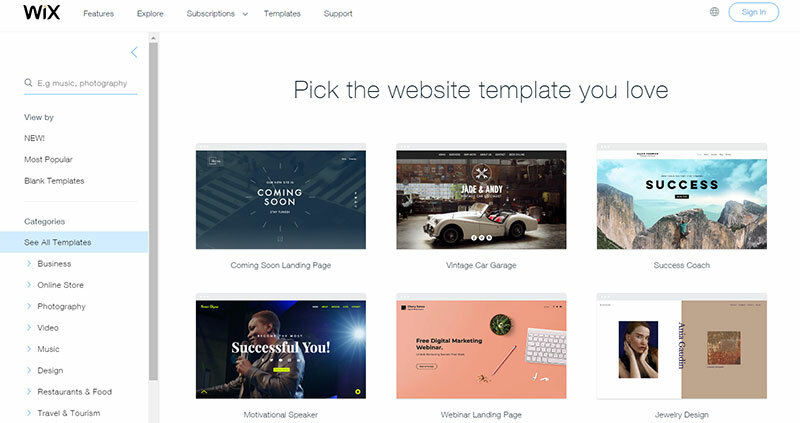 People can’t modify the resources on Wix, so the only way to use it is by utilizing the tools that the editor provides as an integrated part of their website builder. The benefit that comes with this is that you can’t inadvertently use add-ons that make your website buggy. The downside would be that Wix is less customizable and more restrictive on creativity. In the WordPress vs. Wix battle, WordPress scores high here because of the large number of options that people have, whereas Wix — although safer for beginners — falls short due to its lack of customization. For building a website with Wix and signing up on their platform, no money must be invested. The only problem with Wix is that it is pre-hosted and the website you build is not actually yours until you purchase a paid plan instead. The free version has some other downsides as well: a domain that looks like domain.wixsite.com/; limited server space; advertisements displayed on your site. These are quite inconvenient, and their removal requires opting for a premium plan. The premium plans come in four different types. The more you pay each month, the more features you are able to access. 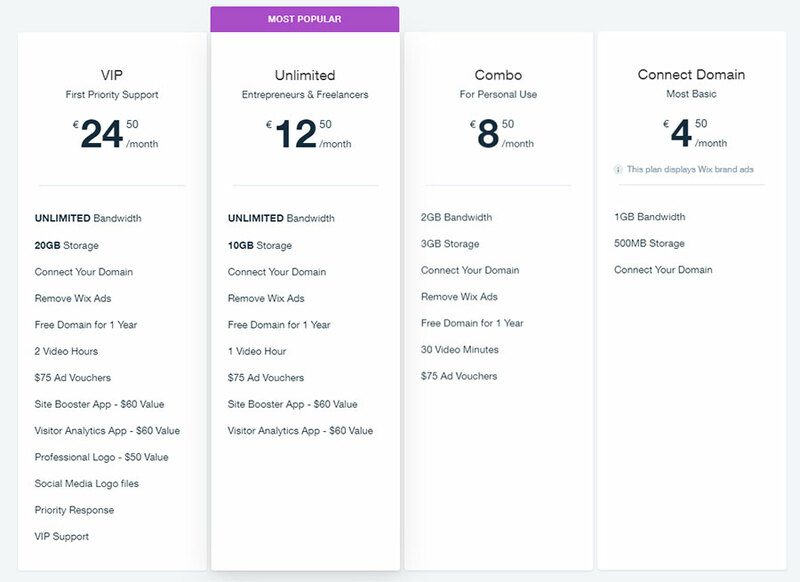 All these premium plans include hosting, eCommerce options, themes, add-ons, and customer support. The best-paid plan you can choose for Wix is the Unlimited one, which costs $14 a month. The eCommerce paid plan costs $20 a month. The annual cost for a paid Wix plan will reach $240. Besides this amount, be prepared to spend more on premium add-ons in the App Market. WordPress is free for anyone who wants to use the platform or modify it by adding themes and plugins. 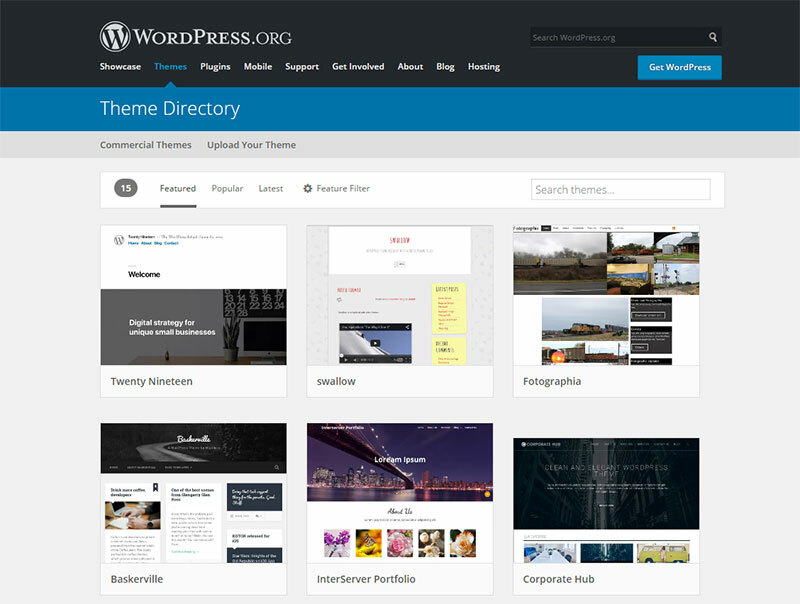 Even so, the themes and plugins available on WordPress can be both free and premium. Users will have to get their own hosting plans separately, as well as domain names. Bluehost and Namecheap are just two of the web hosting providers that work great with WordPress. The costs will vary depending on what the user desires from the website. The initial investment for a website built with WordPress should be around $200. The WordPress vs. Wix scoresheet in terms of costs ends up as a draw because it all depends on what preferences you have as a user as well as the unique goals of your website. The Wix vs. WordPress discussion continues, based on another critical factor: support. 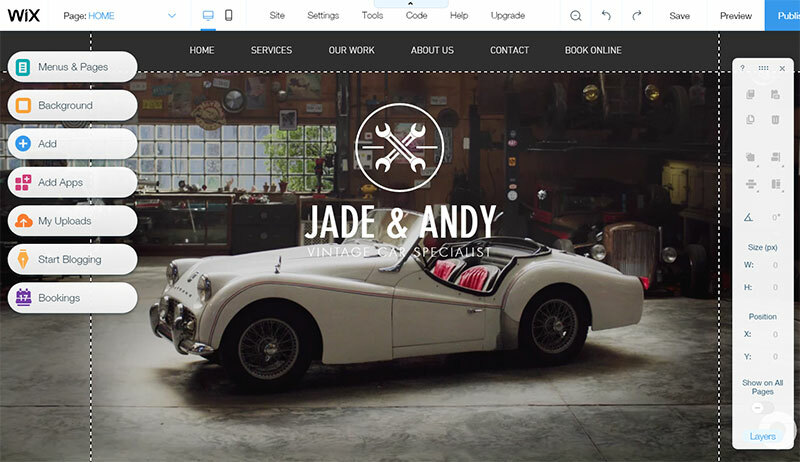 Wix includes support via phone, live chat, and email for all of their packages. The paid packages include VIP support, which means you don’t have to wait in line if you have an urgent problem to solve. WordPress doesn’t have any customer support, but the developers of premium themes and plugins include support as part of the fee you pay for using them. Accordingly, the quality of support you receive depends on the creator of each add-on. Although there is a lack of any centralized support system, the WordPress community is vast, friendly, and helpful, so users often find existing solutions in the community forums or elsewhere on the web. 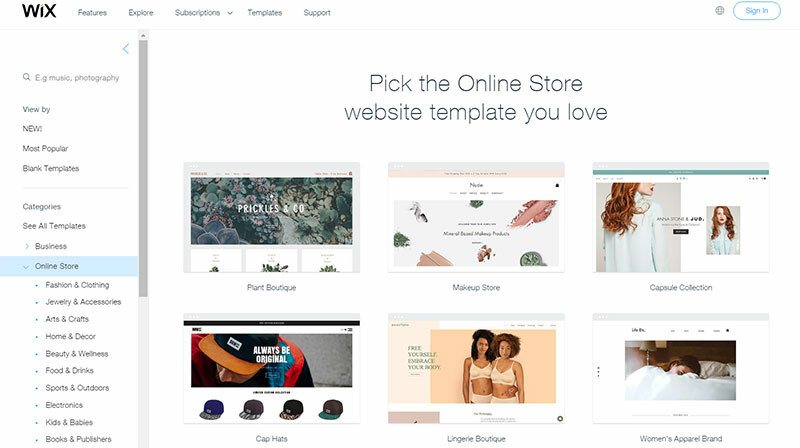 If you want to start an eCommerce website, you should know that Wix has a dedicated section just for this. It is responsive and well-designed, although it is recommended to opt for Wix’s eCommerce functionality only if the business you own is small and not too complex. For example, simple downloadable digital goods like books may find a good home on a Wix store. Unfortunately, the options for operations-related features like shipping and adding taxes are pretty limited. WordPress is more suitable for eCommerce websites that are dedicated to bigger businesses, but you need at least one plugin for it. There is no single, out-of-the-box feature that can help you host an eCommerce website with WordPress, but the available plugins do an excellent job of providing the functionality that your online store needs. 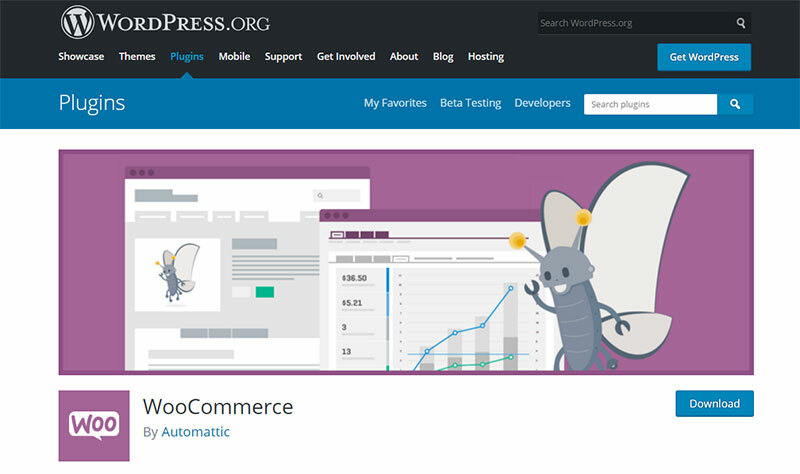 To put it simply, WordPress with a plugin such as WooCommerce should be perfect for you if your eCommerce website begs for customization and sophistication. It is extremely difficult to say that one editor is better than another, but you can decide for yourself which one is the most suitable according to your requirements and needs. No matter whether you choose WordPress or Wix, you will encounter both downsides and benefits. The editor that works best for you is the one that ultimately wins the WordPress versus Wix war. Users get to control the themes and plugins they use, the updates they make, and their SEO details. The flexibility that WordPress offers is perfect for users that want more control over their websites. 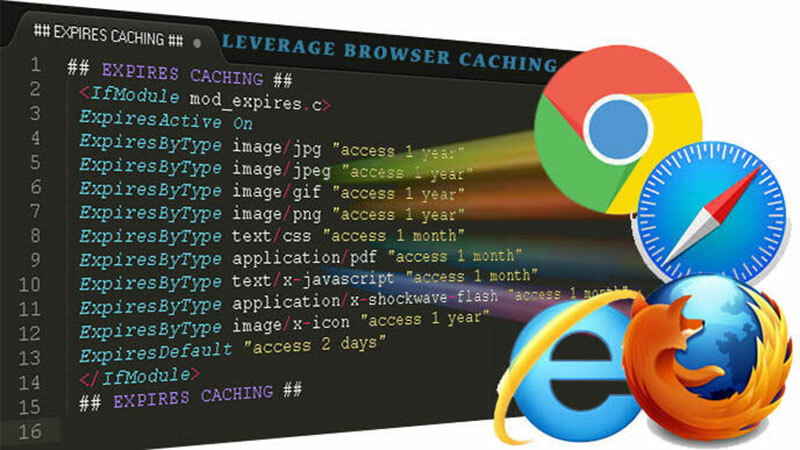 You own the site through the web hosting companies you prefer. You have more options when it comes to customizing the appearance of the website. You can build larger and more sophisticated websites using WordPress. You can get more technical with WordPress and use pieces of code to change and enhance the functions of your site.